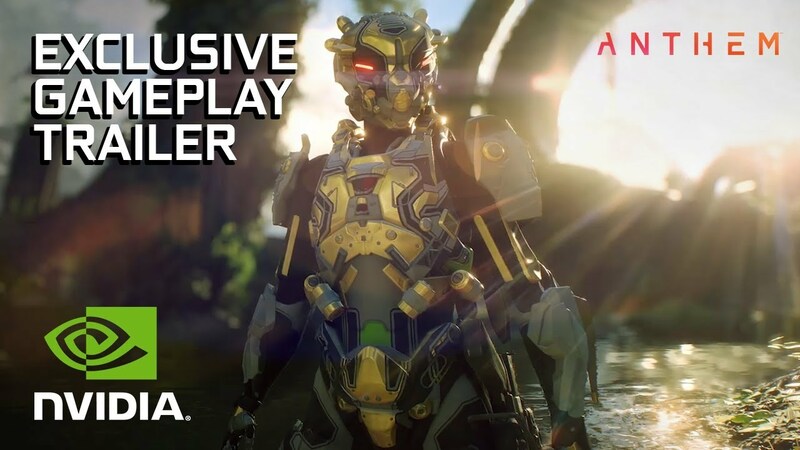 NVIDIA and Bioware have released the Anthem CES 2019 trailer which shows off enemies, environments and customized javelin gear. Releases at NVIDIA’s CES 2019 keynote, the brand-new exclusive gameplay trailer features a never-before seen Javelin, enemies, and environments. In addition, NVIDIA has announced that the upcoming title from Bioware will support Deep Learning Super Sampling (DLSS) for better visuals. Intersting to note is that NVIDIA mentions that the trailer reveals a brand-new Javelin, but from the looks of it, its merely the Infiltrator or Ranger with customized visual gear. Anthem will release for PC, Xbox One and PlayStation 4 on February 22.